The Arkiv cartridge provides accurate sound reproduction, with remarkably pristine highs and stereo imaging, to provide optimal quality when transferring vinyl to PC, CD, or other digital storage media. With the overwhelming popularity of time-coded vinyl solutions, PC-based music production and sampling, and personal digital music players, the Ortofon Arkiv was created to conquer the task of extracting every last detail from vinyl records before they are finally transcribed into the digital domain. 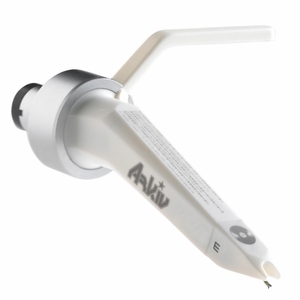 The Concorde Arkiv kit includes one replacement cartridge and one spare stylus, packed in a protective case. It is compatible with all DJ turntables, as well as turntables with a standard 4-pin removable headshell.